Found out where i went a bit wrong with the centre of the wing. 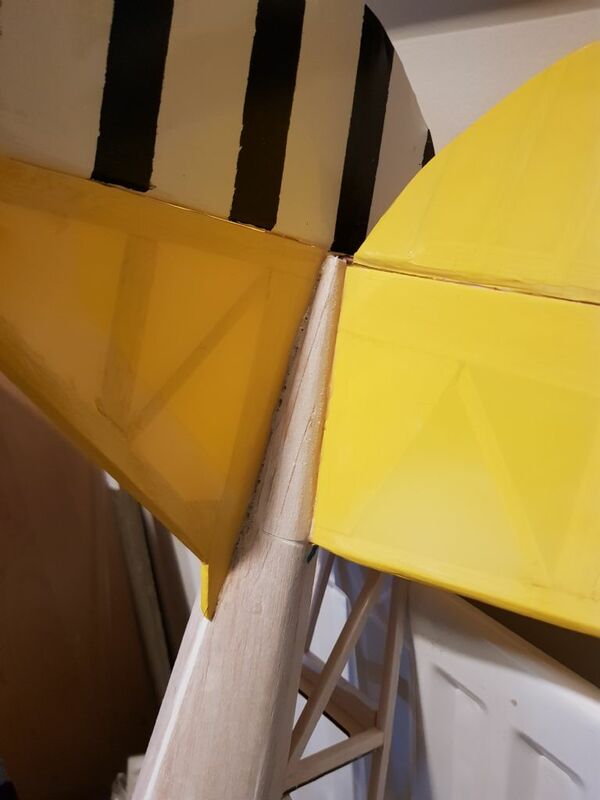 Back at the start of the build in the main thread there is a discussion about the centre line of the wing. I forgot about that! The dotted lines on the drawing are not the centre line its where the drawing stops. Its about 1.5cm past the dotted line. Now i have figured that out i should be able to complet the wing. 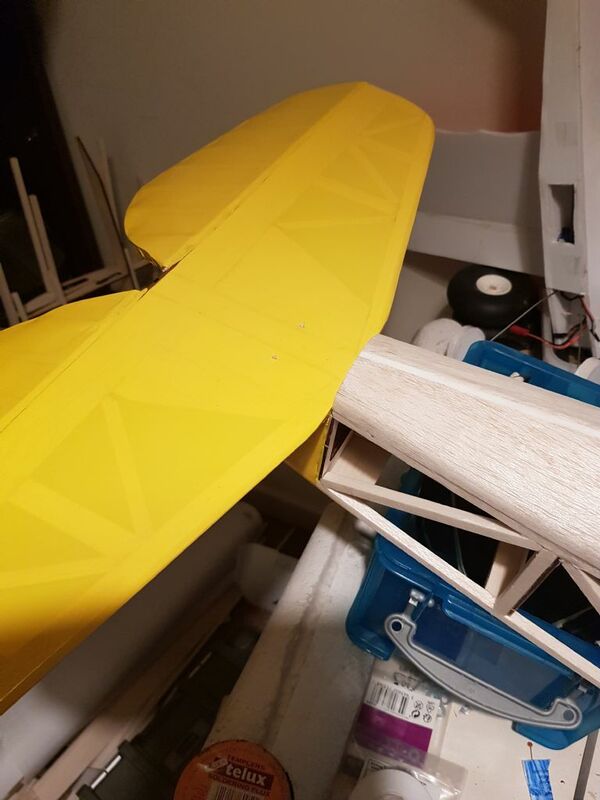 Ive not started the wings yet and as you know working blind most of the time but didnt Todd Lindsey say something in the general thread, to the effect that the distance between one of the spars near to the fuselage should be less than the others. I was assuming that would pull the wing length in to the centre line. I was planning on using that info when i got there. Did you do Todd's measurement and still 15mm past centre line or followed plan and moved line 15mm. Hi jim, the drawing above is the correct positioning of the centre line. I measured my wing and the centre is 40mm from the last rib almost perfect with the drawing.so using lyndsay's picture will position everything correctly. Mine is not as bad as i though, it will fit and look ok.i took the line nearest the rib as the centre and as such cut the stringers short. So i added a bit in and may add some more to beef it up a bit, but it seems strong and the sheeting will help. Finished the tail fitting, the picture shows the fin fitted with block either side. I didnt have a suitable sized block so i laminated some 6 mm balsa to make 2, one for either side. I fitred a fin spacer then trimmed the blocks roughly to shape before glueing them in place. I removed the spacer at this point. When dry i shaped them and installed the fin. It went in great and is firmly attached. I also added another hinge below rhe elevator line. Looking really good, Tony. Did you get your issue with the wing resolved? thanks matt, yes on closer inspection I had cut the main longerons a bit short. so when I fitted the plywood parts I built up the missing parts and filled in the gaps. it seems to be quite strong and is fitting on the plane properly. I have started to sheet the wings so ill post up a picture or two of that.